Were it not for a couple of critical mistakes at critical times for the Washington Redskins on Sunday, they might have endured a better fate than the 17-6 loss that they suffered to the Houston Texans. 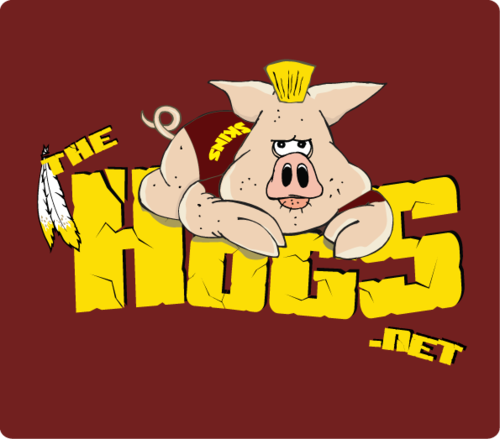 But as someone really old and wise that I know used to say, “If ifs were skiffs, we’d all be at sea.” Vital fumbles in the Red Zone on a handoff from Robert Griffin III to Alfred Morris, and a Niles Paul drop, proved to be wasted opportunities that Washington simply could not overcome. With more than thirty Redskins seasons under my belt, I am still always surprised at my level of anticipation in the week immediately preceding opening day. In the world before the internet – that did exist as hard as it may be for some of you to fathom – opening day for this Canadian lad, meant little more than sitting on the edge of a seat, anxiously awaiting the first glimpse at all the shiny new toys that you read about in the Street & Smith the month before. That’s if I had the good grace that the game was on television, which was more of an exception, than the norm anyway. With two interviews already in the books and two more occurring this weekend, the Redskins continue to cast their net far and wide for a potential head coach, gathering information from an extensive range of candidates. This summer, I’ve been given the opportunity to write a piece for What’s Up? Annapolis Magazine to profile local athletes from Anne Arundel County (my home county) and Maryland’s Eastern Shore who have made it to the professional level. I’ve been trying to kick it into second gear and actually talk to some of these players. Fortunately, some have been receptive, including Houston Texans running back Ben Tate, who grew up on the Eastern Shore. In this week’s edition of Leftovers, Andre Carter talks about returning to a 3-point stance, preparing for Peyton Manning, the physical play of the defense and the parity of the NFL so far this year. In this week’s edition of Leftovers, Andre Carter talks about the running game, Albert Haynesworth’s deactivation against the Texans and about the passing of Denver Broncos wide receiver Kenny McKinley. Back again is the one and only “Leftovers” blog, which provides fans just as much insight as what is in THN Weekly. In this edition of Leftovers, Andre Carter talks to THN about the Collective Bargaining Agreement, his adjustment to linebacker and Dallas’ struggles during the preseason. The Houston Texans signed defensive back Matteral Richardson off of the Redskins practice squad onto their active roster. To replace Richardson, the Redskins signed safety Michael Grant. Like Richardson, Grant entered the NFL as an undrafted free agent out of Arkansas this year.